The U.S. can now ship rice to China for the first time ever, signaling a win for President Donald Trump in his efforts to reshape the trade relationship just after talks between the nations broke down Wednesday. Officials from the nations finalized a protocol to allow for the first-ever American shipments, the U.S. Department of Agriculture said Thursday in a statement. 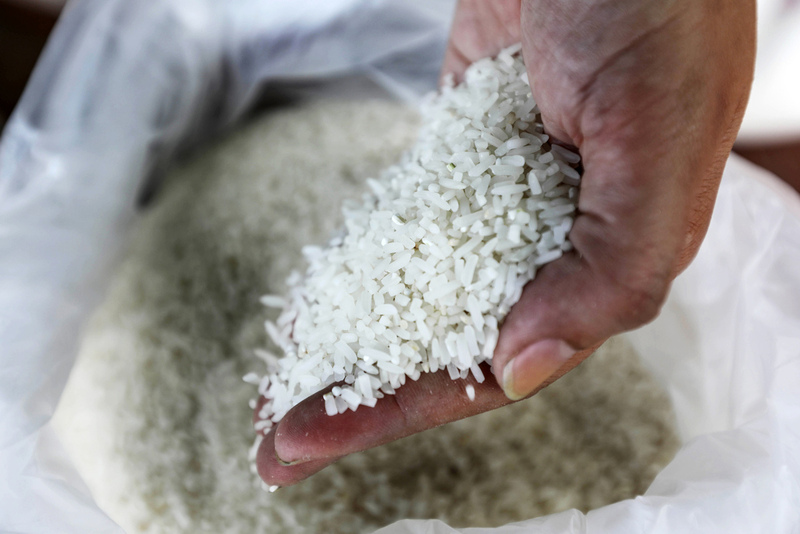 China is the world’s biggest rice consumer, importer and producer. The rice deal comes just a month after China reopened its market to U.S. beef imports for the first time in more than a decade and is the latest in a flurry of trade negotiations between the nations. China is also approving more biotech products and increasing U.S. natural gas imports. But if the nations are to make any meaningful dent in the U.S.’s $347 billion trade deficit with China that’s the object of Trump’s ire, they may have to keep negotiating beyond the modest agreements already signed. And there are signs the relationship may be turning a bit sour. High-level economic talks in Washington broke up Wednesday with the superpowers, the world’s two largest economies, unable to produce a joint statement. Rice trade talks have been taking place between the two countries for more than a decade, U.S. Agriculture Secretary Sonny Perdue said in the statement. China’s appetite for the grain helped push the nation’s imports up tenfold in the past decade to 5 million metric tons in the 2016-17 season, USDA data show. Still, it could be difficult for the U.S. to get a meaningful piece of that market. American shippers will have to compete with those in Vietnam, Thailand and Pakistan. The countries were China’s biggest suppliers in 2016 and are also among the world’s biggest shippers. The U.S. is No. 5. Rice traded in Chicago was initially little changed after the USDA announcement, before rising as much as 1.6 percent. September futures were up 1.5 percent at $12.04 per 100 pounds as of 12:38 p.m. local time. Trump’s goal of reducing trade deficits put a “spotlight” on rice, Brian King, the chairman of industry group USA Rice, said in a statement. China is planning to send a team to inspect U.S. mills and facilities certified for shipment, and the group is working with USDA to ensure that happens quickly, said Carl Brothers, chairman of the group’s international trade policy committee.